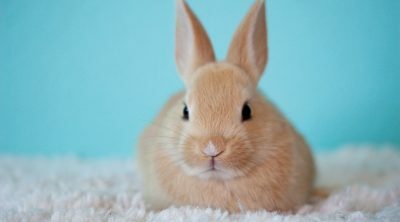 Choosing a rabbit can be fun, but shopping for its home is certainly no easy task. If you really want them to feel like part of the family then keep it close—inside the house. Yes it’s possible! 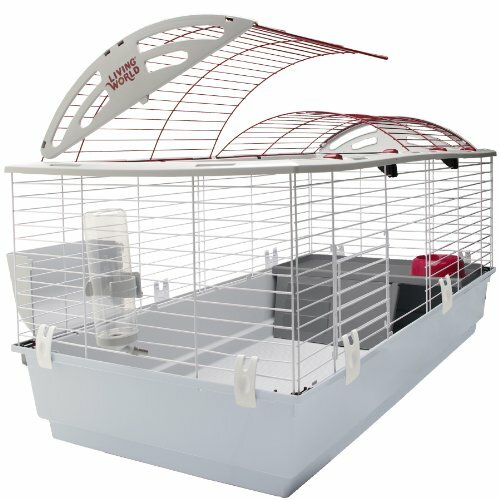 As animal lovers you’ll agree the newest addition to the family deserves the best rabbit indoor cage you can find right? We’re going to help you get it right. A number of factors are involved in the selection process, at the top of the list must be space, comfort and safety. There are plenty of options to choose from and below we’ll highlight the most popular indoor cages to help streamline your selection process. But first, let’s help you understand the industry. What Materials Are Used in Building The Cage? Leaving your bunny outside isn’t the best idea if you value their safety. Have any other pets at the house? 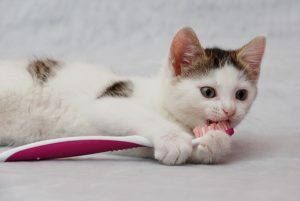 It increases the risk of your bunny being attacked by your dog or cat. Even if you don’t have either, there are other predators such as hawks lurking in the shadows. An inside cage means you won’t have these concerns anymore. Don’t be fooled by that cute furry coat; bunnies also need warmth and lots of it—particularly during the winter months. Keeping it indoors means you can regularly monitor it, thereby making sure its habitat is always warm and dry. Because it’s in the house, the chances and frequency of human interaction is much higher than when outside. And they deserve the attention. Bunnies need love and of course you won’t be building any trust & affection if you leave it outside. The material used in the construction of the cage is equally important as it determines factors such as durability. These cages can be made from anything including metals and wire. Cages made of metal, wood and iron are built to last, plus they are sturdy. Plastic cages are more attractive than their wooden counterparts plus they’re usually more comfortable for your bunny. These cages are available in different styles so you can select one that suits your taste and needs. If you want a bigger home for your pet bunny but you have limited space, you can consider a multi-level cage. This can either be a double or triple story hutch which will give your rabbit more room to scurry about. As the name suggests, the cage is firmly built on wheels. This type is best suited for owners who don’t always use the rabbit cage. Do you leave your bunny to run around the house during the day? Then a cage with wheels is easier to move out of the way when not in use. You can always stick to the conventional cage without the bells and whistles. It will still suit the situation. The best option will depend on your budget as we’ll briefly discuss below. As long as it’s clean and dry, your bunny will be happy. If you have extra to spend, you can always splurge on the more luxurious models. After all even a bunny deserves to live in style. 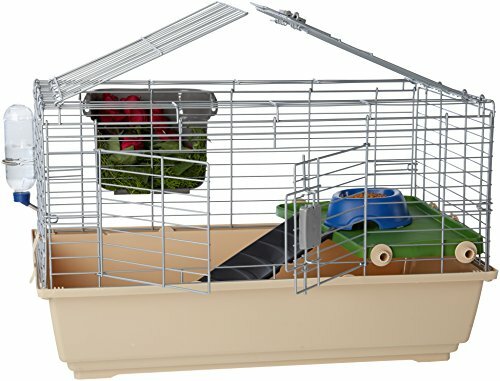 The more expensive cages will have lots of features including divider panels for versatility, ramps and balconies. But let’s be clear; the most expensive model doesn’t always mean it’s the best quality. Just make sure you buy one with the features your bunny will need and use so you don’t waste money on unnecessary extras. Whatever you do, make sure you buy one that ensures less cleaning hassle. Ideally a cage with more openings is the one you want to easily access it from all angles. Also, a cage with a removable tray underneath makes it easier to clean the waste. 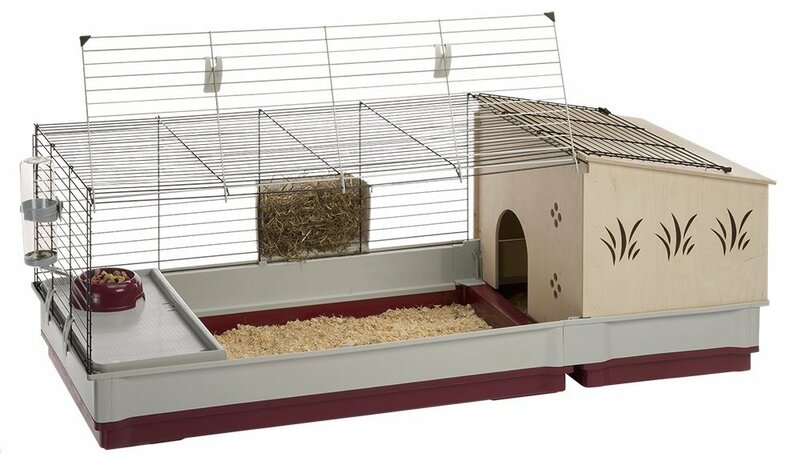 Your bunny will be kept safe and comfortable in this rectangular shaped Amazon Basics habitat. One of the most outstanding features offered by this cage is its durability. This is owing to the fact that the upper frame is made of iron wire so it’s built to last. We’re impressed with the bottom border which is made of PP plastic. Not only do you not have to worry about your bunny’s comfort but it also gives it a cozy space to rest in and a wonderful view at the same time. You’ll appreciate that this cage is pretty easy to access when you need to. This is thanks to the large top and front openings which make it simple to carry out your cleaning tasks. Your bunny will appreciate the balcony ramp which will give it a point of elevation. This ultimately makes it a more versatile area for your rabbit to spend time in. Our only concern is the ramp is a tad slippery so some rabbits may struggle to climb it. The manufacturer was kind enough to include a drip water bottle and hay guard—all at a low price. Going with this cage means you’ll be getting value for you money. The main things that attracted us to this cage are the superior build quality and innovative design. You can expect a sturdy cage thanks to the cable ties designed to reinforce the structure. It won’t be tumbling down any time soon. You’ll appreciate the versatility of this cage. It’s expandable so you can either spread it into a low wide play pen or build it up into a double story villa—it’s up to you. The fence allows you to keep a close eye on your furry friends—regardless of the angle—so you can make sure they’re not getting up to no good. However the fence can only fit smaller animals because it’s not that high. Larger bunnies will just jump over it. You will have this structure up and ready in just a couple of minutes because it’s pretty easy to assemble. Tespo thought about everything when it included an anti-slip mat. Your pet is protected from slipping as it runs about. Not to mention that your floor will be protected from your rabbit’s scratching. 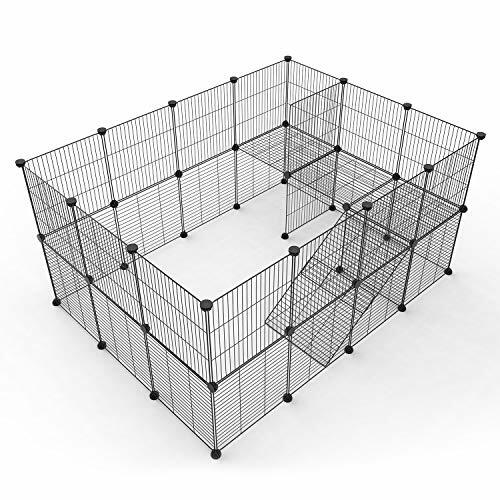 Here we have a cage that also features an innovative design suitable for any pet rabbit. You’ll appreciate that the bottom is completely knocked down which ultimately gives your pet more living space. Another brilliant feature is the base is not only wide but high. This is more than enough space to hold any litter or sawdust creating a comfortable playing area. The cage itself is pretty wide and comes with an extension. 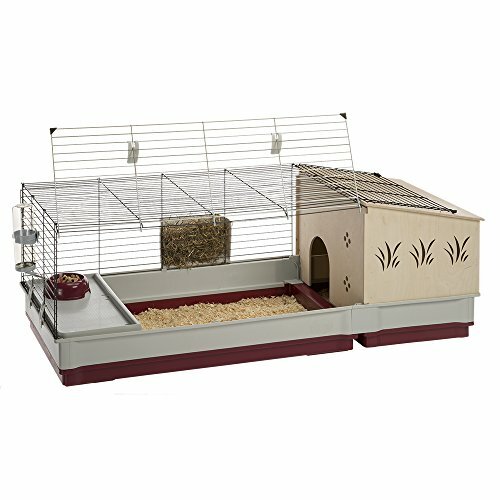 This makes it an ideal option if you’re looking for a roomy and comfortable cage for your pet. Maintenance will also be a breeze because the opening located on the front side will give you quick and easy access for your daily cleaning tasks. This home comes with some handy items including a drinking bottle which can be firmly attached on the cage via the hook provided. You’ll also find a feeder for hay included. We are also impressed with the versatility of this cage. You can separate the cage into a nesting and play area thanks to the divider panel. 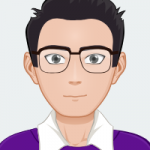 Just be prepared to take a bit more time setting it up as the installation process isn’t that simple. Its huge draw card is it’s pretty easy to assemble. Installation will just take you a couple of minutes. Also you won’t need any tools to set it up. Though stylish, this isn’t one of the most durable options. We’re mainly concerned with the quality of the bottom base which is made of cheap plastic. Though comfortable it’s slightly flimsy. However the upper frame is a bit stronger because it’s made of wire. Maintenance of this cage is pretty simple. Tidying up is further made easy by the wire door located on the front for easy accessibility. However you may need to exert extra effort to open it as it can be a little stiff. You can also access the cage via the top wire which easily opens into two separate parts. Your rabbit will get to explore from greater heights thanks to the balcony provided. The balcony floor is held securely in place because of the tip proof food dish located on the bottom. Bunny can enjoy a moment of privacy by relaxing in the hideaway space provided—away from curious eyes. We are particularly impressed with the size of this cage. It’s even expandable to give your pet still more room to play around in. You don’t need any tools to assemble it which allows for a quick and simple installation. The sides are made of durable metal so they’re built to last. However expect some annoying noise if your bunny tries to chew on the sides to get your attention. Midwest threw in a couple of handy accessories to make your rabbit’s living space even more comfortable. You’ll find a water bottle, feeding bowl and a removable hay feeder. The feeding area is elevated to create a private relaxing area underneath for your pet. Another brilliant feature is the deep plastic pan designed to contain all the rabbit mess and litter. This makes it very easy to clean. Your rabbit will enjoy a well ventilated atmosphere thanks to the one-inch open mesh that allows air to come in. A cage that offers easy accessibility is always ideal. That’s exactly what you’ll get if you pick this cage which features two large doors; one is located on the side and the other at the top. Multiple doors make it very easy to carry out any necessary cleaning. Also, because of the multiple doors it’s easy to relocate and replace your pets when you need to. While on the subject of tidying up, you’ll appreciate that it has a removable plastic tray for easy clean up. The only problem is it’s on the wrong side so litter might end up coming out around the sides. 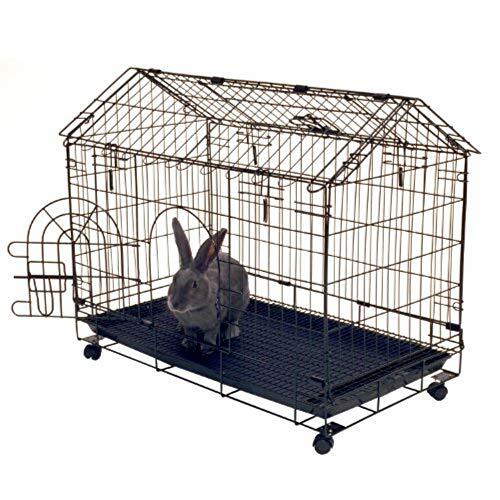 Your bunny will have enough room to play in this spaciously built cage which measures 29” x 16”, not to mention that it’s built on four wheels so you can easily move it around when you need to. A truly practical design! It will work best for smaller rabbits—particularly those that are litter trained so they can enter and leave as they please. From the above mentioned, the MidWest ramp is our favorite. Its durable design makes it a winner plus the removable tray means it requires less maintenance.